Indonesia is one of Australia’s closest neighbours. But surprisingly the two countries trade and invest very little with each other. It’s time to make the most of geography and work together to prosper. It is 20 years next month since Indonesia dumped Soeharto’s New Order, but even now, different perceptions about democracy remain central to the challenges and opportunities in the relationship with Australia. Australia’s Foreign Policy White Paper describes Indonesia simply as a dynamic democracy. So Indonesians seem more disappointed than dismayed that opinion polling shows only about one third of Australians actually think their closest Asian neighbour is a democracy despite two decades of vigorously contested electoral politics. This has some perverse consequences when the two countries are contemplating how to deepen their relationship to deal with the end of the post-World War II rules-based regional order due to loss of faith in globalisation and growing US-China tensions. Indonesians are quick to note that they have been left out of the revived Quadrilateral grouping of the US, Japan, India and Australia, especially when those countries have made much ado about how the Quad is a high-minded democratic club rather than a dark scheme to contain China. As a result, Indonesians have not fully accepted Australia’s new concept of the Indo-Pacific, which has been heavily tied to the Quad. 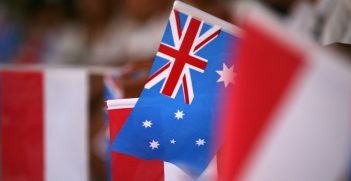 This is prompting some Indonesians to test Australia’s confidence in their 20-year-old democracy by pushing for a slightly different club of Indo-Pacific maritime democracies that could extend to countries such as South Korea. But this would probably mean ‘more Jakarta and less Washington’, to rephrase former Prime Minister Tony Abbott’s ill-fated “more Jakarta, less Geneva” foreign policy mantra. In this context, it was interesting to see the Minister for Foreign Affairs Julie Bishop implicitly acknowledge this hesitation about the Indo-Pacific in places like Indonesia by conceding that ASEAN would be the geographical and diplomatic heart of the new regional construct. However, if two thirds of Australians are sceptical about whether one of the most functional democracies in Southeast Asia is actually even a democracy, joining an Indonesian democratic club many not be such a success with the Australian public. This divide could really be tested if an emerging push to revive former Prime Minister Paul Keating’s controversial 1996 security treaty with Indonesia gathers pace. The Agreement on Maintaining Security (AMS) was quickly abandoned by Indonesia during the 1999 East Timor independence tension but is now seen to contain just the right language to allow the two countries to discuss pressing issues such as the growing assertiveness of China. But others argue that it may not help Indonesia’s image in Australia to be reviving a controversial initiative from the authoritarian Soeharto era when Indonesia’s new democracy is showing some illiberal tendencies. 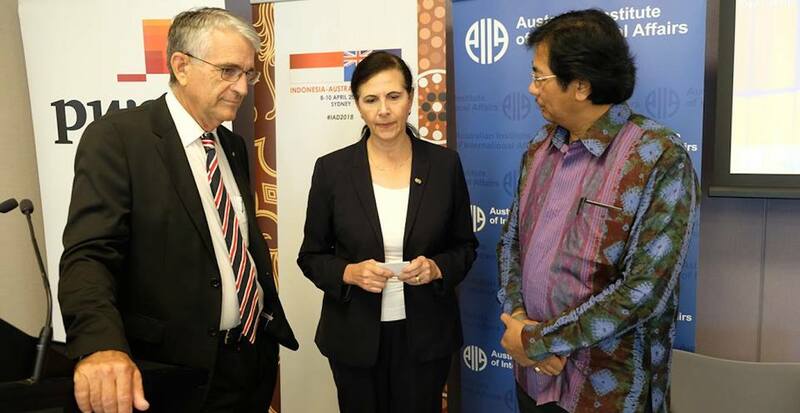 The quest for new areas of engagement to deal with present challenges amid some shadows from the past was a recurring theme at the 4th Indonesia Australia Dialogue in Sydney this month, which was coordinated by the Australian Institute for International Affairs. The sense of urgency about building on past dialogues to create some sort of stronger modern partnership to deal with new issues was neatly captured by a former senior Indonesian government official who noted how he had attended a similar event with Chinese participants and had been surprised that they all spoke good Indonesian. This was quite chastening for the less polyglot Australian delegates at the Sydney event, although they were quickly reassured when the former official said he would much rather participate in the frank debate that is now common at these dialogues rather than the scripted routine that prevails at the Chinese one. Despite the political spats that seem to derail the relationship at least once a decade, events like the dialogue only underline just why those recurring incidents are eventually managed away: there are strong links at elite (especially government) levels. But the dialogue also underlined that securing “more diverse links through business, study and travel” to reinforce the existing relationship, as proposed by the White Paper, will take some more work. The difference in perceptions about democracy only emphasises this. For example, when the dialogue working groups settled on ideas to reinforce the relationship, the most common complaint was about how the visa system in both countries made it hard to study and work. 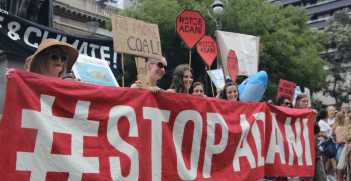 As a result they called for a more liberal approach for students to work, especially on internships, and for at least a pilot project on Indonesian worker entry to Australia in an area where there will be future labour shortages. The relatively low level of bilateral trade and investment is the longstanding soft underbelly of the ambitions for a much closer security relationship. But there are new hopes for progress as Indonesia’s economy evolves to become more complementary with Australia. Traditional tensions over beef and mining may be diffused by new areas of potential cooperation such as healthcare and tourism. The 4th dialogue identified the potential for new business links in ecommerce where each country has specific strengths and the industry is much less regulated than older industries where economic nationalism plays a bigger role. Nevertheless, the real test of the bilateral relationship is not whether like-minded people can settle on new ideas like these. It will be whether the broader communities in each country can see the value of deeper economic and security links when the world around is changing so much. Greg Earl was a participant in the 4th Indonesia-Australia Dialogue on 8-10 April organised by the Australian Institute of International Affairs with the support of the Department of Foreign Affairs and Trade, Indonesian Ministry of Foreign Affairs and PwC. He is a board member of the Australian ASEAN Council and was the Australian Financial Review’s Indonesia correspondent. This article is published under a Creative Commons Licence, and may be republished with attribution. 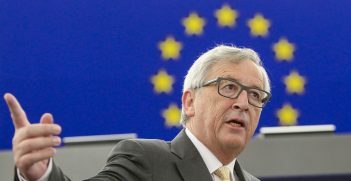 An EU-Australia trade agreement may be completed within two years after Australia was announced as one of the first to benefit from new fast-tracked EU trade deal negotiations.